There’s a huge demand for pharmacy technicians in the health care and pharmaceutical care industries. Due to increasing needs for pharmaceutical products and services, jobs in the pharmaceutical industry are projected to grow faster than the average for all other occupations through the years 2008 through 2020. The expanding senior population and increasing availability of new medications will also fuel the demands for qualified pharmacy technicians in various settings, and as pharmacists focus more on patient care, the roles and responsibilities of technicians will expand. According to the Bureau of Labor Statistics projections, employment opportunities for full-time and part-time technicians will explode. Certified pharmacy technicians will receive the best opportunities as the industry seeks trained, competent, and skilled support personnel. 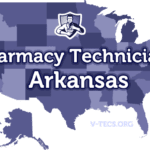 Federal regulations along with the professional standards outlined by the Arkansas State Board of Pharmacy govern the activities of pharmacy technicians within state pharmacies. While the state focuses on the registration and criminal history of pharmacy technicians, most employers require formal training and certification to reduce instances of medication errors and ensure public safety. Pharmacy technicians must register with the Board of Pharmacy using the Board-provided form. As part of the application for registration, applicants must consent to a criminal background check and submit details of their high school education. Applicants for registration cannot commence work until the Board approves the application and issues a permit to work, which must be displayed in a visible place in the pharmacy. The license expires on December 31 biennially. Pharmacy employers have the responsibility to verify a prospective employee’s registration with the Board and ensure that the Board issues a permit for the technician to work at that specific location. The employer must complete this step before assigning pharmacy technician related duties. Secure a permit and receive acknowledgment from the Board before commencing work at a new place of employment. The application processing time is three weeks after the Board receives all the required documentation. 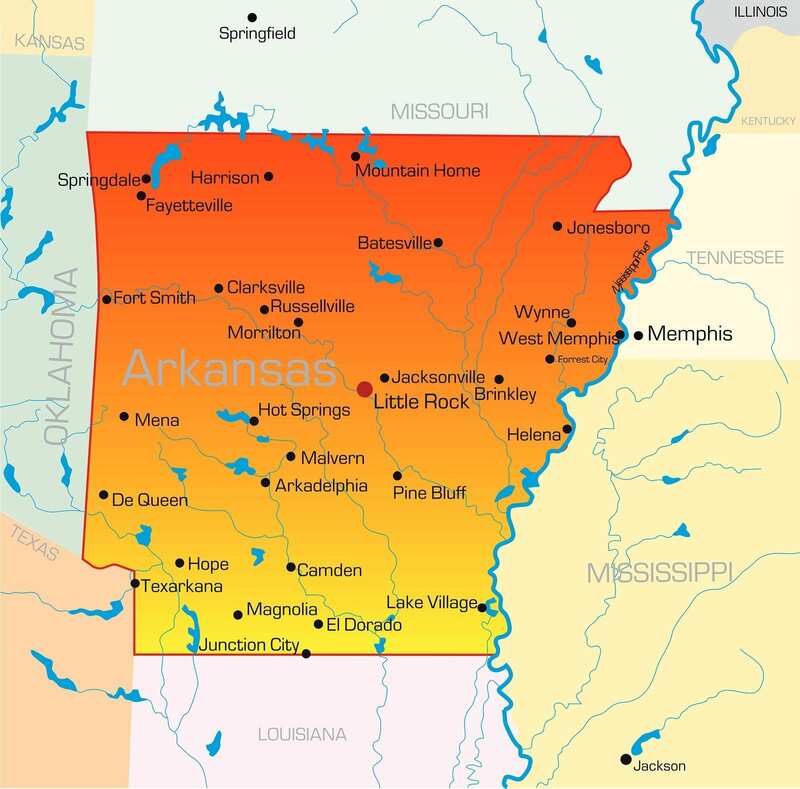 Applicants for pharmacy technician registration in Arkansas must be at least 18 years old at the time of application. A letter from the high school verifying your graduation date. The letter must contain a seal and official signature from the school. A high school diploma is the minimum education requirement for registration. It is, currently, also the minimum requirement for certification by the PTCB. By the year 2020, proof of formal training must accompany all applications for certification. To be eligible for registration, all applicants must also have a good moral character and pass a state and federal background check. The application form requests information on each candidate’s personal history. Applicants should respond truthfully to all questions and reveal all convictions, whether the arrest or citation was dismissed or expunged. The criminal history questions cover DWI, DUI and MIP violations, theft, domestic violence, assault, shoplifting, possession of controlled substances and any other violations under state and federal laws. The Board could deny the application for any untruthful responses to the questions. In addition to the questionnaire, applicants must complete a fingerprint card, using the standard FBI card, and send a completed and notarized criminal background check form with the application. The last name on the criminal background check must match the last name on the application for registration and the driver’s license. Note that prior convictions/misdemeanors will not automatically negate your application for registration. Once you’re truthful about the convictions and provide documentation detailing the circumstances surrounding the convictions, the Board will review and make a decision based on several factors, including your age at the time and the time elapsed. More than 50 percent of pharmacy technicians opt for formal training, even though, the state does not require it for registration. The programs offered at community colleges, universities, vocational schools, and other institutions fill up quickly as students rush to meet employer demands for training. The state requirements for registration, like some other states, stipulate high school as a minimum. However, employer requirements often exceed those minimums. Most employers prefer trained and certified pharmacy technicians who can easily execute assigned tasks with minimum training. Pharmacy technician training program prepare graduates to do just that. ASHP-accredited programs and those accredited by other established authorities comprise of classroom, lab, and clinical components to produce well-rounded graduates. In the classroom, instructors cover topics such as medical abbreviations, brand name and generic drugs, pharmacy law, professional ethics, dosage calculation, pharmacy administration, drug delivery systems and much more. In a mock pharmacy setting, students get hands-on opportunities to practice the preparation of medications, label prescriptions, process orders, and interact with “patients.” The clinical aspect of the training is another critical component, and at most schools, completing the clinical internship is a requirement for graduation. During the clinical, students work in a community or hospital pharmacy performing non-sterile product compounding, packaging, labeling, and interacting with members of the pharmacy team and public. The cost of training depends on the institute and the credential issued at the end of training. Degree programs obviously cost more than diploma and certificate programs. Certificate programs at leading institutes, such as Remington College and Heritage College cost $19,990 and $15,447 respectively. Other programs, such as the one offered at Black River Technical College are a more affordable $2,195. Financial aid may be available in the form of federal and private loans. If you’re looking for opportunities for free training, you can look to employer-sponsored program and train while you work at licensed pharmacies across the state. The pharmacist-in-charge at many pharmacies provide training for new employees to prepare them for their roles and responsibilities as part of the pharmacy-services team. 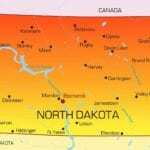 The content may be similar to those offered at community colleges and vocational schools without the accompanying costs. Since the training may not be recognized by other employers within and outside the state, as a graduate of an employer-based program, you can increase your competitive advantage by applying for national certification. Note: There may be a waiting list to secure employer-sponsored training. If you choose the paid training option, you should ensure that the program is accredited. Also, ask about the total cost of attendance as advertised fees don’t always include the costs for textbooks, uniform, lab fees, registration, and other supplies. The duration of the training depends on the class schedule and the type of credential issued. The duration of diploma and certificate programs range from 4 to 16 months and degree programs last much longer. National certification is not a Board of Pharmacy requirement at this current time, but regulations can change in the future. Many pharmacy technicians within the state still pursue certification to improve their employment opportunities and earn higher salaries. There are two recognized agencies for obtaining national certification: the National Healthcareer Association and the Pharmacy Technician Certification Board. Candidates for PTCB certification can apply year-round using the Board’s online portal. You can pay the $129 application fee using your credit card or e-check. Paper applications are available for those with a disability or hardship that prevents them from applying online. The PTCB requires a written request for paper submissions. Possess a high school diploma or equivalent education. Disclose criminal convictions and any actions taken against the candidate by any State Board of Pharmacy. Obtain a passing score on the Pharmacy Technician Certification Exam (PTCE). Candidates must also agree to abide by PTCB Policies and Procedures. The PTCE is available at more than 200 Pearson Vue testing centers across the nation. Once certified, technicians can recertify every two years after fulfilling the continuing education requirements of 20 pharmacy education continuing units. The renewal fee is $40. Candidates can register online and call a PSI/LaserGrade center to schedule a test after NHA approves the application. The cost for certification is $105 for two years. Candidates must complete the continuing education requirements and pay the renewal fee in order to recertify. Pharmacy technicians cannot perform the duties of a technician until the Board approves an application for registration and issues a certificate of registration and permit to work at a specific pharmacy. The pharmacy must display the permit in a prominent place for public perusal. After submitting the application, fee, and all the required documents, the Board will review the request and inform the candidate in writing within three (3) weeks. Following is a basic guideline for submitting a new registration with the Board. Download the application form online and enter a truthful response to all questions. The Board will return your documents if you fail to answer all questions. Enclose a check or money order payable to the Arkansas Board of Pharmacy in the amount of $107.75. Include a copy of your high school diploma or transcript, GED certificate, or letter from your high school confirming your graduation date. You can present your college transcript. Include a copy of your driver’s license or other state ID. Include a completed fingerprint card – the standard FBI fingerprint card. Mail the completed application, supporting documents, and fee to the Board of Pharmacy. Pharmacy technician licenses expire on December 31st every two years. For fast and convenient renewal, you can renew online using a credit card. Failure to renew by February 1 of the following year will result in a $20 penalty. Renewals submitted later than February 1 will result in a $40 penalty. Applications who fail to renew by April 1 must apply for a reinstatement, pay the late fees, and undergo another criminal background check in order to keep working as a pharmacy technician. Gather your registration and social security numbers; you’ll need them to complete the renewal. Go to the online renewal portal on the Board of Pharmacy website to renew online. Submit any changes to your existing mailing and email addresses. Use your MasterCard, Discover, Visa or American Express card to pay the $70 renewal fee. You can also use a preprinted e-check to submit payment. Print the confirmation of registration and keep a copy for your records. If you’re registered in another state, you’ll have to submit a new registration with the Board of Pharmacy before you begin practicing as a pharmacy technician in Arkansas. Complete the application form, fingerprint card and sign the criminal background check form in the presence of a notary. Send the documents along with the application fee to the Board of Pharmacy address provided below.